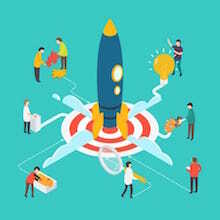 Accelerated Mobile Pages, abbreviated AMP, is only applicable for websites with static content like news pages and blogs, while inactive content is not accounted for. But it is not foreseeable if it will always stay that way. Therefore it’s worth it for website owners to come to grips with this topic rather early – especially since a blog brings advantages for almost all sites. You are not familiar with AMP? 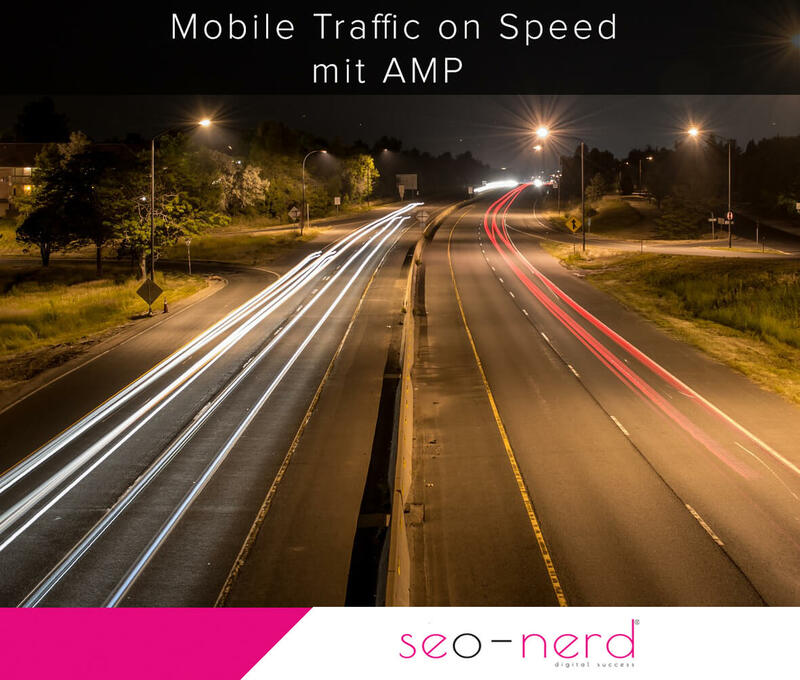 The seo-nerd takes a closer look on what AMP can do and what advantages and disadvantages Accelerated Mobile Pages offer. What is AMP supposed to achieve? Both points promise ranking advantages for those who use AMP. For on one hand the number of mobile users is continuously increasing, on the other hand Google reacts to this trend with ever changing mobile friendly updates and already prefers sites that offer an optimized site for smartphone users. Accelerated Mobile Pages hold out the prospect of gaining advantages over other competitors. Smartphone users give up on visiting news sites when on the go because of too long loading times, damage all stakeholders after all, according to Google. When users lose their patience, portals lose potential readers, so that advertisers don’t receive enough attention for their ads. What Google doesn’t speak out loud, but the technical stuff does is: with Accelerated Mobile Pages Google is working on another standard controlled by the company from Mountain View. Google can track the traffic on AMP sites and collect valuable data that way. Problems with duplicate content are not supposed to exist with these two versions. The AMP version has to link via the canonical link to the HTML version. If this link is missing the Accelerated Mobile Pages version is not considered by Google in search requests. 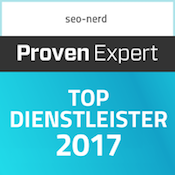 Linkbuilding is not necessary for the AMP version, thus links of the AMP version don’t have to be included in the site map. By the pre-defined commands and tags of the AMP HTML websites are delivered slimmer. 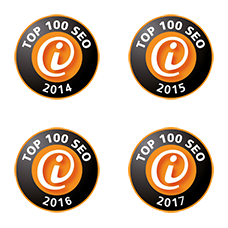 Thus, the proportion of the delivered text increases in relation with the code, hence the text-to-code ratio is optimized in the sense of technical SEO. CSS files are limited to a maximum of 50 Kb. Media formats and other site elements like media posts and ads can be incorporated, but have to be strictly defined in terms of size and height. At the moment, items that can be incorporated are photos (also animated ones), videos, i-frames, and audio files. Also, schema.org markups (as JSON or micro file format) for the formats article, videos, reviews, and recipes can be included. The result of AMP is websites that can be faster displayed on mobile devices than with Responsive Design, for example. Since April 2016 Google prefers AMP version in Google News. Who wants to crop up with their news there cannot ignore this new technical solution. But with that you gain the chance to show up in the structured news markup in the Google News carousel. Regardless of the direct preference by Google Accelerated Mobile Pages also score in regards of SXO (search experience optimization). Users obtain a clear added value from them since they don’t have to do without their supply they’re used to. Website owners can measure traffic of AMP versions in Analytics. 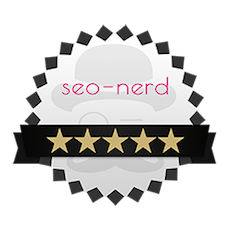 If you’re content with the simple counting of page hits you can implement the AMP Pixel tag. If you like to track more you should make use of the AMP Analytics tag. The Accelerated Mobile Pages are designed only for static publisher content at the moment; the corresponding HTML is limited in its possibilities therefore. Many functions of a HTML website are disregarded in the AMP version. Shops and websites with dynamic contents have no use of the new technology – unless you have a blog. The main disadvantage, of course, is that AMP pages are originally made to be cached by Google. This means that the site is displayed to the users directly via the Google server – not through yours. In plain terms: Google does not send the user to your site, but retains them with itself. For website owners of disadvantage the fact is that Google offers Accelerated Mobile Pages only to a few web networks (e.g. AOL, Google’s AdSense and Doubleclick, Kargo, Moat, OpenX and Outbrain) and hence a range of online adverts are excluded. Reason for this: Google is entirely on the users’ site on this and demands fast and asynchronous ads to accelerate loading. These requirements are not fulfilled by mane ad networks yet. As mentioned above, the project’s dependence on Google can be seen problematic. Some bloggers have already announced that they won’t jump on the bandwagon because they don’t want to be even more dependent on Google than they already are anyhow. Who is called for action? At the moment, only blogs and news portals really are who like to be ranked in Google News. Using Accelerated Mobile Pages is no ranking factor yet, at the moment. The loading speed is, though. Since the technology is in its beginnings, especially small and medium-sized websites can wait with tackling AMP. As long as the fraction of AMP websites in the specific market environment is relatively small there is no immediate call for action from a SEO perspective. Accelerated Mobile Pages will probably only start off properly as soon as dynamic offerings are supported. If that will ever be the case remains unclear until now. That WordPress and other CMS like Joomla or Drupal offer Plugins, makes AMP interesting for blogging as well as web shops and other providers. 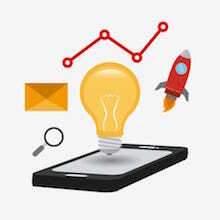 If you want to attract users on mobile internet and win them over, you have one more reason through Accelerated Mobile Pages to overthink your online marketing. The trend for more information, more additional content with added value is gaining pace through AMP even further. 1. What is AMP supposed to achieve? 2. How does AMP work? 5. Who is called for action?